Catherine, Duchess of Cambridge was in high spirits as she arrived at the Royal Opera House in central London today (January 16). It looks like royal purple is proving to be the winter power colour of the week. 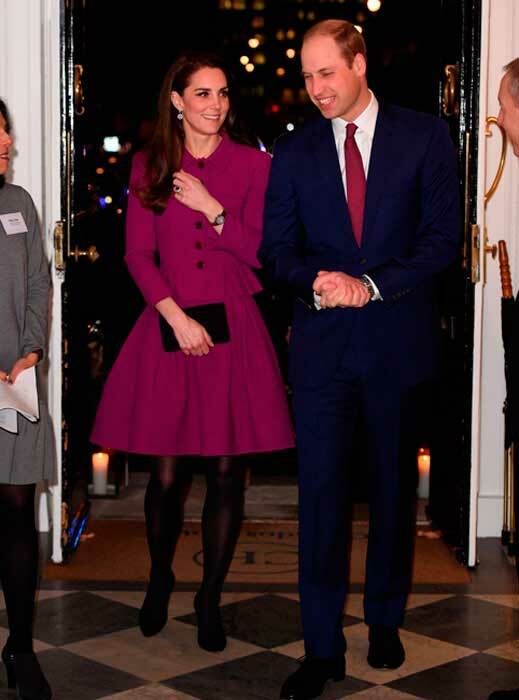 The Duchess looked classically elegant in a purple Oscar de la Renta peplum jacket and matching skirt, styled with Rupert Sanderson ‘Malory’ pumps and an Aspinal of London bag. Never one to shy away from recycling her wardrobe, Catherine first wore this look two years ago to the UK Guild of Health Writers Conference alongside Prince William. The styling was pretty much the same for both outings.